I was recently invited to try to the made-to-measure shirts of Ign. 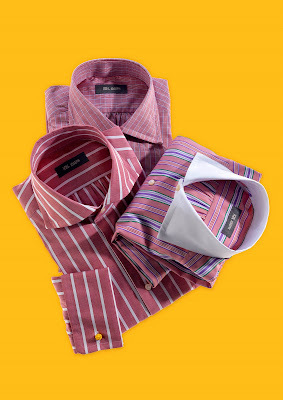 Joseph, a shirt brand founded by the eponymous Ignatius Joseph in 1997. 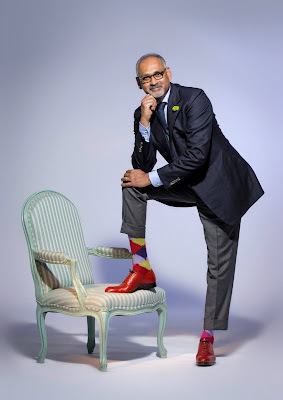 Mr Joseph lives in Dusseldorf, Germany and the brand is better known in central Europe – where he is rather renowned for his eclectic dress sense and red socks. But the brand is now stocked in several London establishments (see list at the bottom of this article). Made-to-measure costs between €220 and €240, depending on fabric, and ready-to-wear between €189 and €210. I sent the factory (in Castellamontre, Italy) a sample shirt that fitted pretty well – one made by Edward Tam in Hong Kong – and they copied the fit. You can also be measured in one of the UK outlets. A few weeks later I received the shirt, an Egyptian cotton in pale pink. And I have to say the feel of the material was impressive. I am a beginner when it comes to shirt cottons, but it felt smoother and softer than, say, Ralph Lauren Purple Label and on a par with Turnbull & Asser’s Sea Island-quality cotton. The collar is a hallmark of Ign. Joseph, all handmade and unfused. It was impressively soft and comfortable, yet retained its stiffness along the front edge. The fit was perhaps a little bigger than I had anticipated, but it has yet to be washed so that may change. The tails were longer than those of most brands, though still a little shorter than what I prefer. And the waist could have done with taking in an inch or so. But then this is made-to-measure rather than bespoke. The fit was still better than any ready-to-wear shirt I have. The buttons were nice, chunky mother-of-pearl. Once you have shirts with real mother-of-pear it’s pretty easy to spot imitations. There is far more depth and brightness to the colour. The shirts are expensive but the quality is impressive. The designs also venture into the outlandish, which will suit some tastes. A strong impression, overall. You can follow the discussion on Shirt review: Ign. Joseph by entering your email address in the box below. You will then receive an email every time a new comment is added. These will also contain a link to a page where you can stop the alerts, and remove all of your related data from the site.